Glass Agencies EROSE are manufacturer of Tissue Processor. Offering Single Tissue Processing Unit. 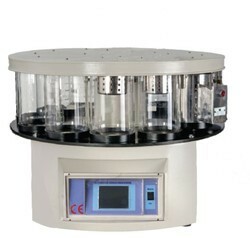 Tissue Processing Unit is a compact model, suitable for use in small Laboratories. Supplied with One S.S.Basket Rotor, One S.S. Tissue Basket, One S.S. Wax Bath, 24 Nos. S.S Tissue Capsules, 6 Nos. S-type Dividers. 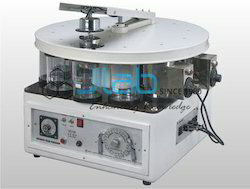 Tissue Processing Unit is suitable to work on 220 V, single phase, 50 Hz, Ac supply. CCS-AMTRCCS-AMTR is an innovative solution for research and diagnostic that harnesses the soft or hard tissue for a simple, safe, time- and cost-effective process. The cell suspension prepared using CCS-AMTR has shown to be effective in for research and diagnostics purpose. 1. Fully intelligent design, ensure timely automatic determination and recovery from an abnormal event.